Having already secured in excess of €50m, Horizon 2020 is providing real opportunities for Welsh businesses and universities to be at the forefront of research and innovation, and to collaborate with leading organisations across Europe and the world. 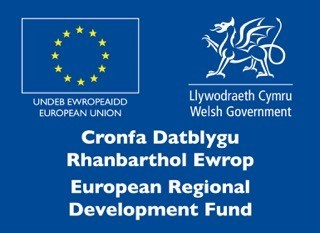 This year’s event, hosted by the Welsh Government’s Horizon 2020 Unit, addressed how maximising EU research and innovation funding opportunities will help Welsh organisations thrive now and well into the future. This is recognised in Wales’ White Paper ‘Securing Wales’ Future: Transition from the European Union to a new relationship with Europe’ (available online at www.gov.wales/brexit), that was launched jointly by the First Minister of Wales and the leader of Plaid Cymru on 23 January 2017. The White Paper underlines the economic benefits and partnerships which have been created through Horizon 2020 and that the UK should continue to participate in this programme or a successor programme beyond 2020. Researchers, businesses, practitioners and policy makers alike had the unique opportunity to hear presentations from key note speakers such as Mark Drakeford AM, Cabinet Secretary for Finance and Local Government and Wolfgang Burtscher, Deputy Director General, European Commission during the morning session. The afternoon session was a series of workshops, one of which was “Flexible and Integrated Energy Systems: a smart opportunity” organised by FLEXIS. Professor Andrew R. Barron, Ser Cymru Chair of Low Carbon Energy Environment, Swansea University, was Chair for the event. TATA Steel’s Process Technology Manager, Richie Hart spoke about the key to sustainability, from an industrial perspective, closely followed by Dr David Bould who is Project Manager for the ERDF funded programme, SPECIFIC. During his talk he explained how buildings could be used in the future to store Solar Energy and generate the stored energy to meet electricity and heating demands. 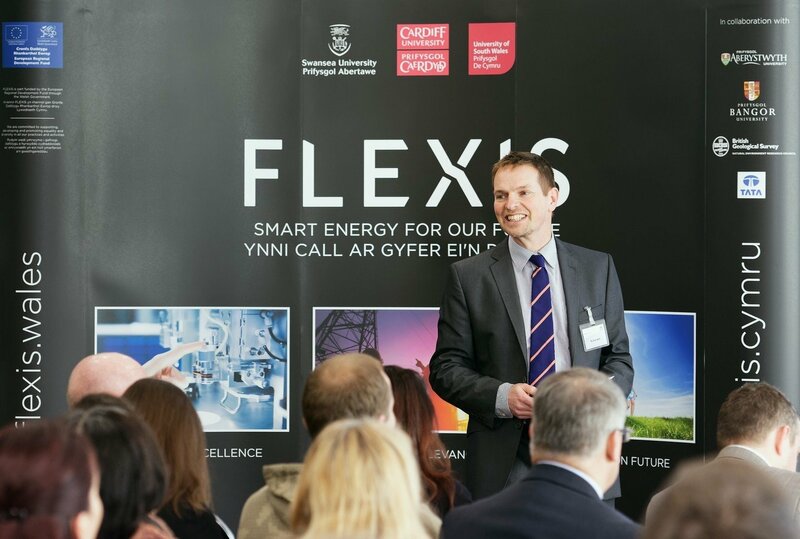 Prof Phil Bowen, Director of Cardiff University’s Gas Turbine Research Centre, then briefed the audience on how FLEXIS, an EU backed project is bringing together expertise from across Wales to solve a diverse, complex and inter-dependent set of energy challenges of the future. This expertise was further demonstrated by Dr Jaime Massnet Nicolau, University of South Wales, and Dr Grazia Todeschini, Swansea University, through two unique case studies. Prof Krzystof Stanczyk who is the Head of Clean Coal Technologies Centre Central Mining Institute, joined the workshop to highlight the importance of EU future collaboration and how to make the most of it. The final speaker for the day was Dr Michael Jenkins, Principal Sustainable Development Officer for Bridgend County Borough Council, who is currently working on developing a Smart Energy Programme for the Bridgend CBC. The session was concluded by Mr Baudewjin Morgan, WEFO, with an emphasis on the Horizon 2020 initiative to couple innovation and research. The main aim of the workshop was to demonstrate relevance of research and industrial participation on a global scale.